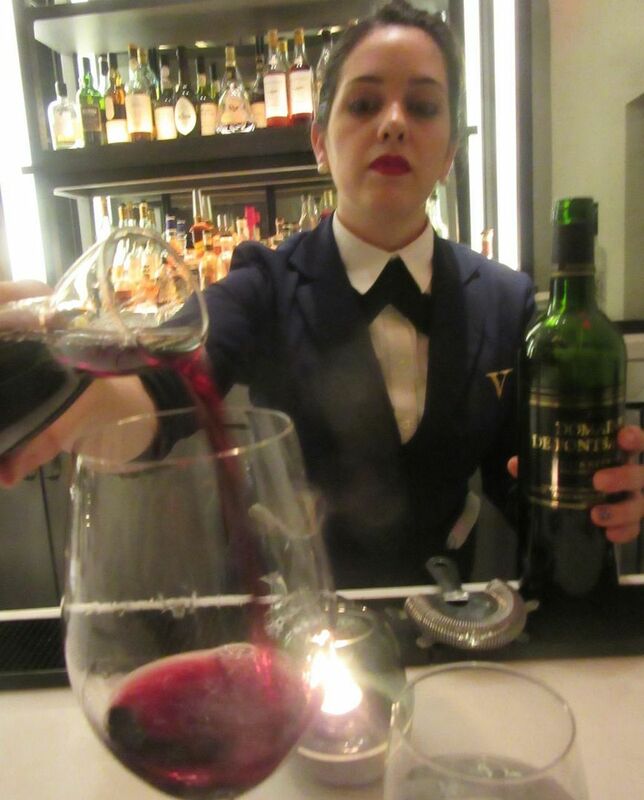 The charming Ashley takes our dinner order and pours wines by the glass, first a taste, then two carafes. I’m guessing that Michael White, or Chef Bianco as he styles himself, sleeps with his eyes wide open, plotting his next move. Some years back, he seemed almost belligerent, feeling that he wasn’t getting enough attention for his ambitions. That’s no longer so. Since he joined forces with his Wall Street partner, Ahmass Fakahany, their company Altamarea has grown its annual revenue from $3 million to over $50 million (according to BusinessInsider.com). 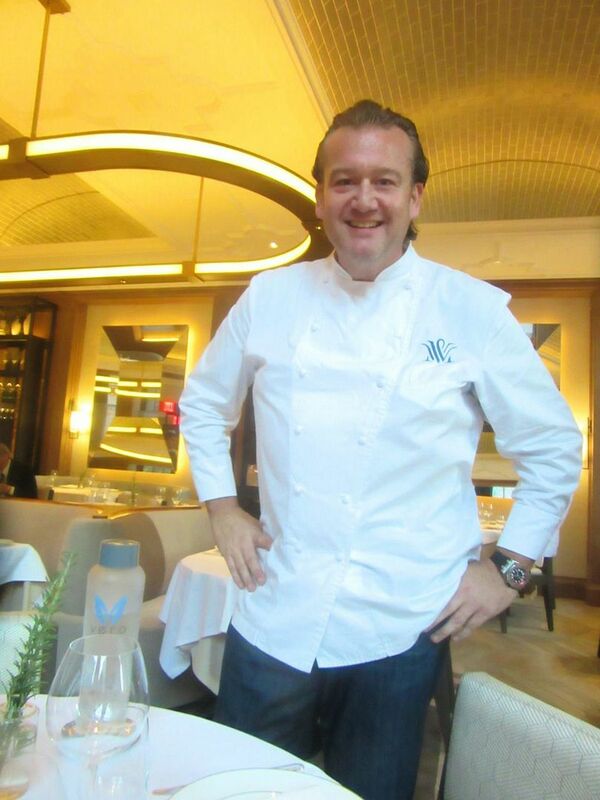 Chef-partner Michael White seems almost humble making the rounds, explaining his French ambition. 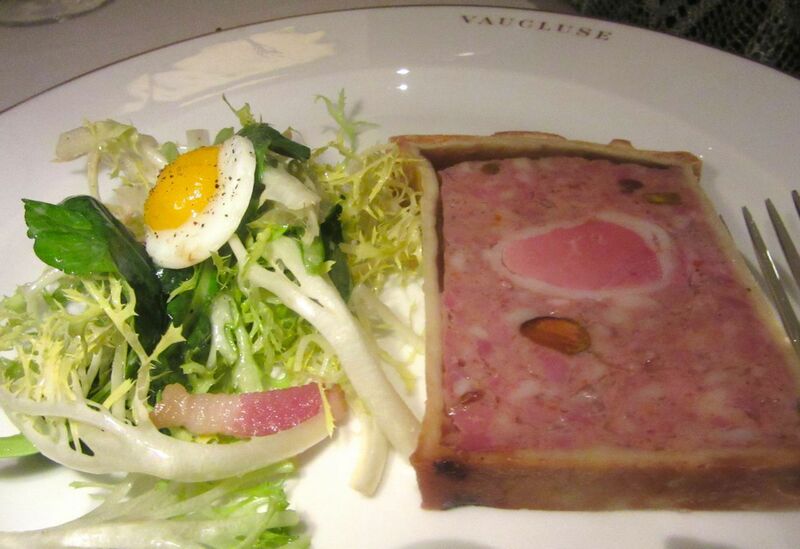 Yes, the new Vaucluse is French -- not Italian like White’s other outposts in New York. He’s always wanted to do French. Chinese might be next, he agrees. 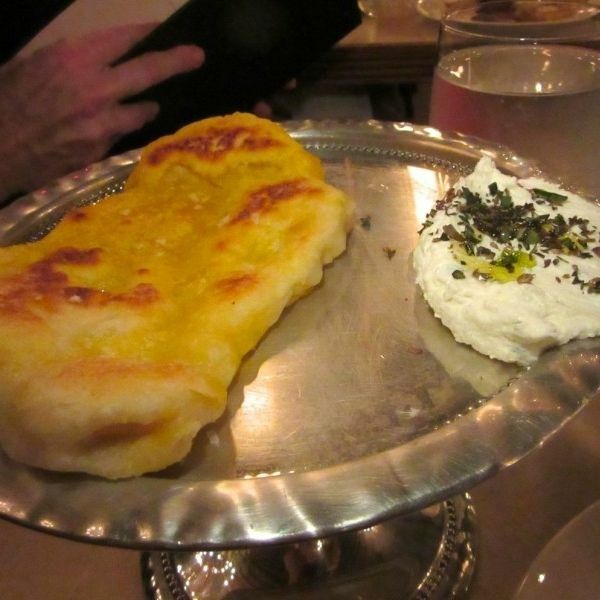 But for the first few weeks after opening, you could catch him – thinner than you remembered – moving almost shyly around the room, confiding that his team would soon be baking all the bread in the kitchen below, confirming that the butter, mixed with sour cream, was churned in house. 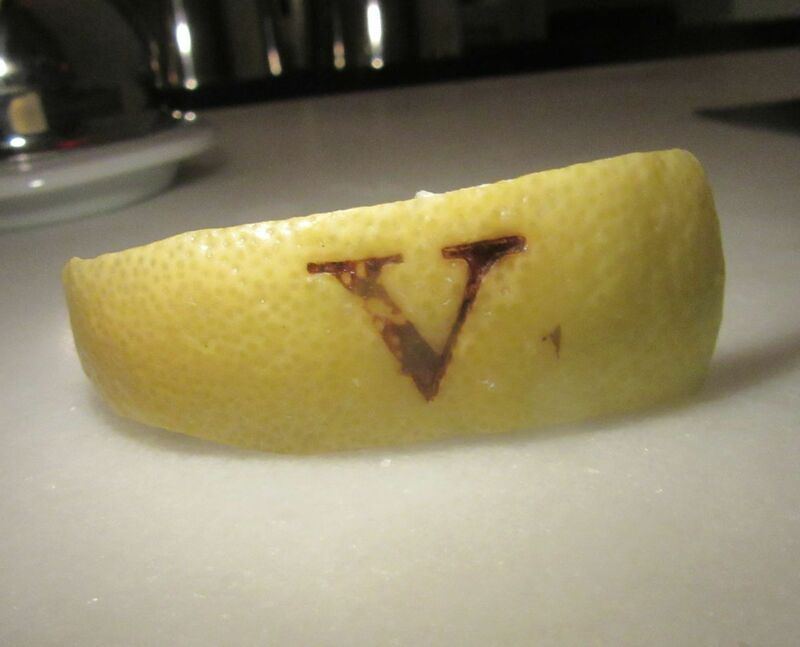 It comes in a small silver bell at exactly the right texture, with a “V” engraved on top. Some food world know-it-alls sneered when White opened the doors of Vaucluse on 63rd Street, near Park Avenue, with a menu of French classics at Upper East Side prices. “Good for the graybeards,” I heard a few times. “I didn’t see anyone under 60,” one early responder reported. 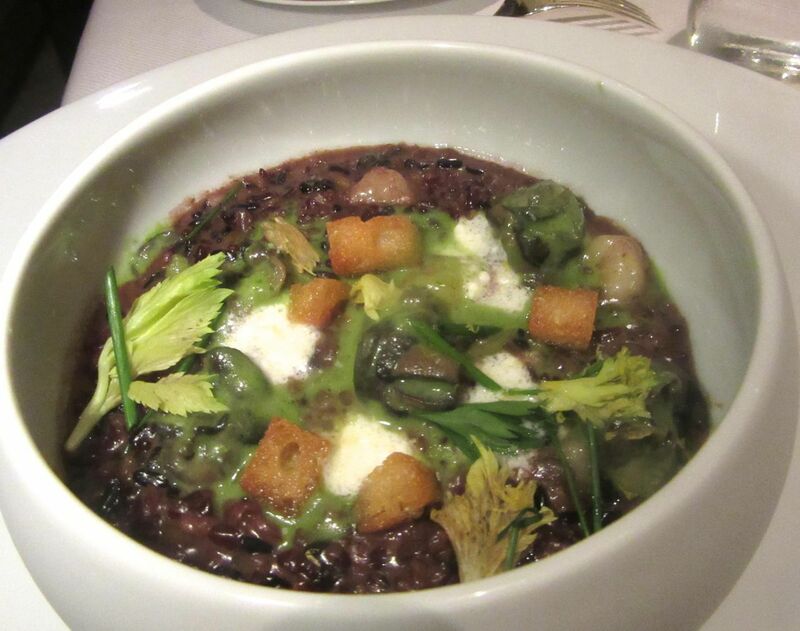 Burgundy snails float in the red rice of the Carmargue with feta and garlic-parsley butter. 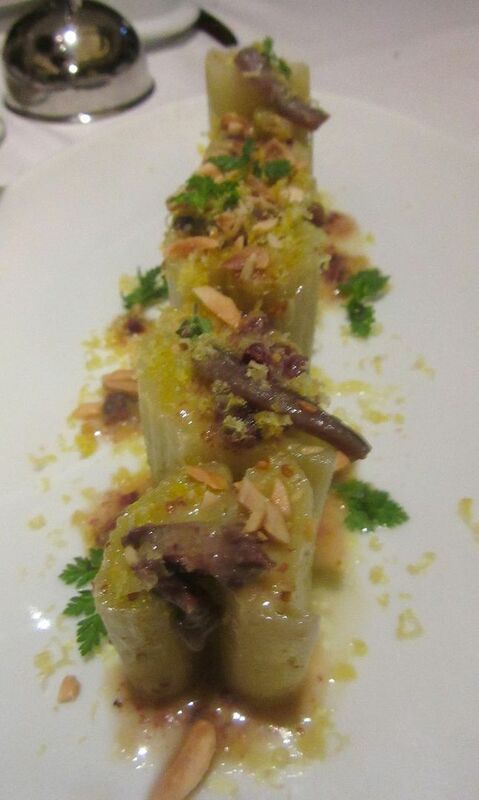 Grilled leeks are sprinkled with almonds and tossed in a mustard seed vinaigrette. Not everyone agrees. As I wait for my coat at the front desk one evening, a middle-aged man attacks with master of the universe bluster. “I want to be moved to the front room,” he tells the company’s general manager, Rocky Cirino, who pauses as if from whiplash before noting that he has nothing free. I see Leonard Lauder in a foursome, his exit interrupted by friends jumping up to chat. There are scatterings of youngish quartets among the clusters of entitled elderly. 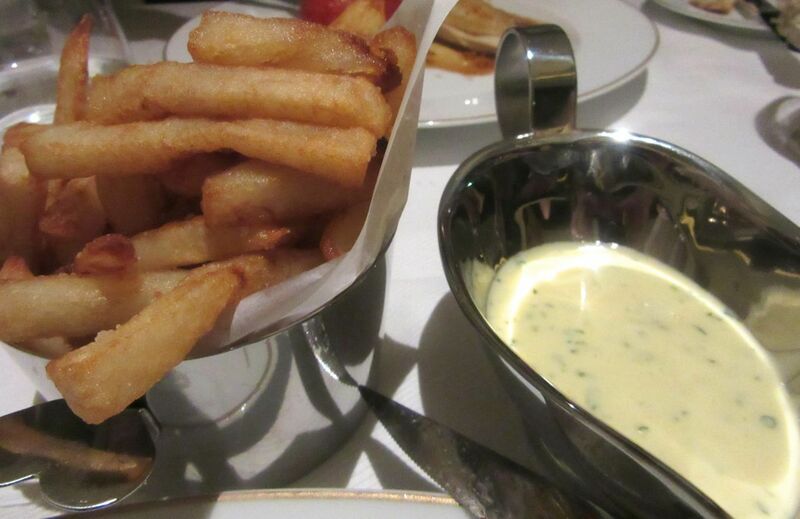 I asked for bearnaise with my fine aged prime rib eye and stunning fries. It’s Saturday night. I’ve had dinner in the “preferred” front room four times – the kitchen getting stronger each time. Waiters and bus boys walked as if they wore blinders, ignoring waving arms and even a verbal summons. On a third visit where my friend the architect admires the soft leather banquette with its strip of light from hidden LED bulbs, and I have stopped obsessing about how silly the speedway ceiling is, I notice the staff seems better drilled. And all of us are impressed by what we’ve eaten, especially the crispy zucchini tartlette with toasted almonds and one too many sauces, that has disappeared with summer from the menu to be replaced by poached egg and chanterelles with delicata squash in a red-wine sauce. A moist and flavorful breast of chicken with couscous in a stuffed tomato is now chicken grand-mère with king oysters and hints of Madeira. “Plats Pricipaux” run from $31 to $59. 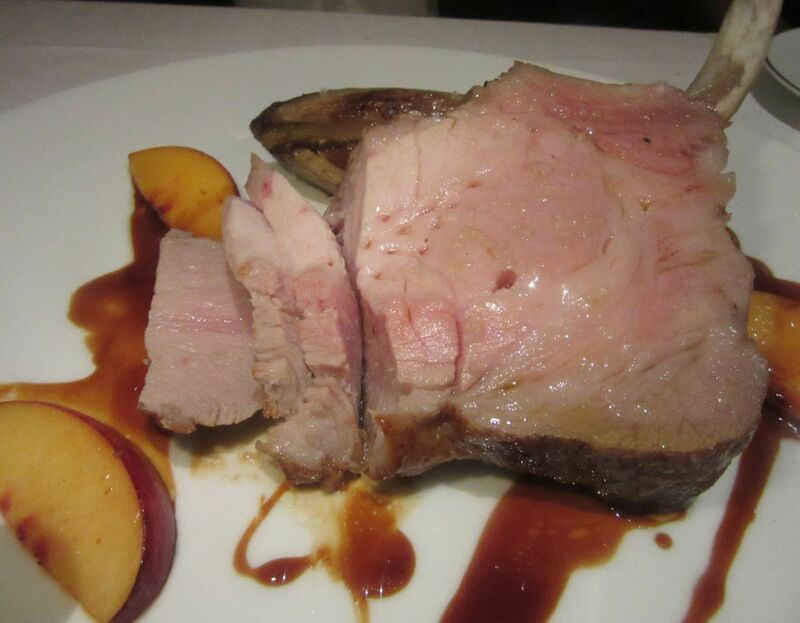 A Berkshire pork chop ordered rare came oddly pale but was tender, moist, and delicious. That evening, a strangely pale pork chop is surprisingly good. My architect friend takes an extra chunk before passing it on. 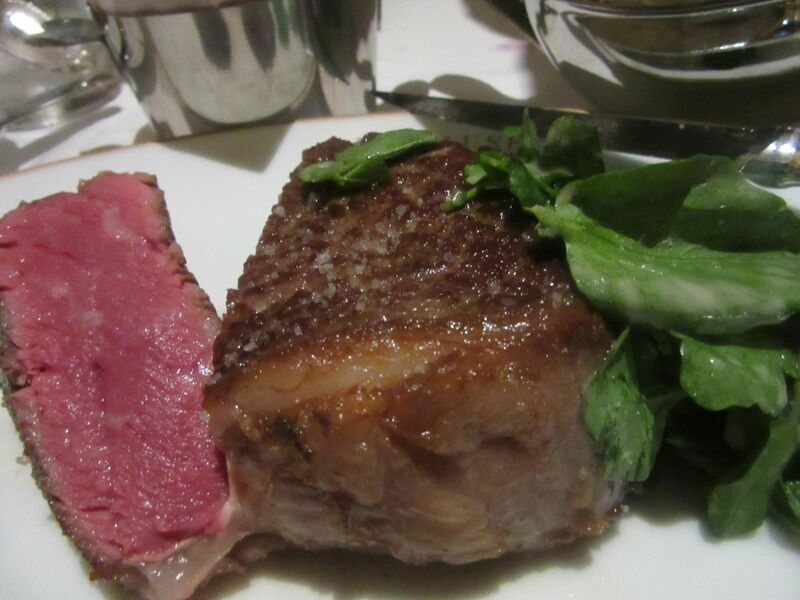 And I’m pleased with the aged prime entrecôte, French for rib eye. I’d asked to have the fries extra crisp as I do (except when I forget), but these are not the least bit crispy. They are soft, very potato-y, salty, and so tasty I start eating them two at a time, dragging them through the lemony béarnaise that comes with the meat. The exceptional fries are unusally soft and full of potato flavor here. Hard to stop eating them. On another night, a friend’s son joins me to share the duck a l’orange for two, not a classic version, but rather a large duck breast roasted and cut into islands, meaty and rare, circled with tangy orange sauce. We can scarcely finish the bird after sharing the sprightly beef tartare. I imagine the beef with a salad making a perfect late supper. 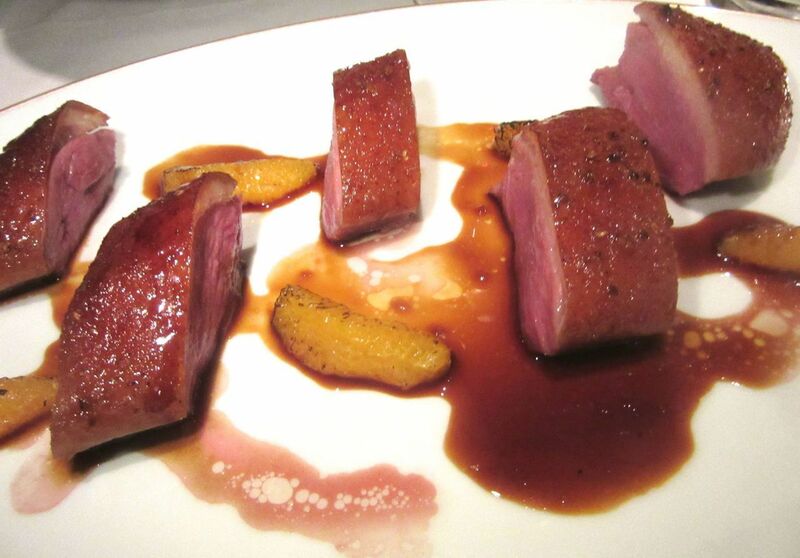 A huge Rohan duck breast is served rare and meaty with a winey orange sauce and segments of citrus. But it’s the copper pan with its generous side of leek-turnip-broccoli gratin crumble that comes with the duck -- chef Jared Gadbaw’s triumph with root vegetables -- that I taste and then cannot stop eating. 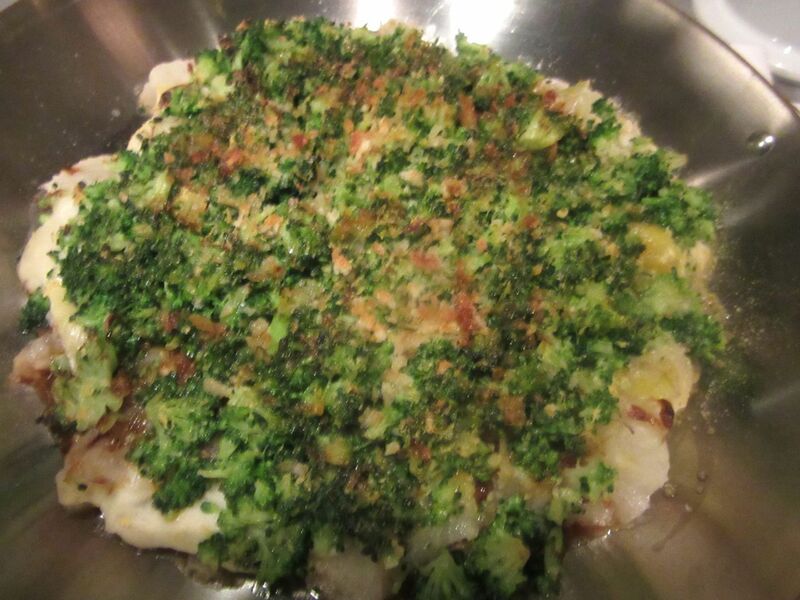 This generous pan of leek, turnip, and broccoli gratin comes with the duck. I’d like it as a side too. Now tonight, I’m back for the burger. I want to see what it feels like eating at the bar, which in Altamarea’s very expensive rehab of the old Park Avenue Summer (Fall, Winter, etc.) has widened and opened up to the high arched ceiling. A spirited floorwalker stands watch as we settle in, rushing forward to show me the hook under the bar for my handbag. 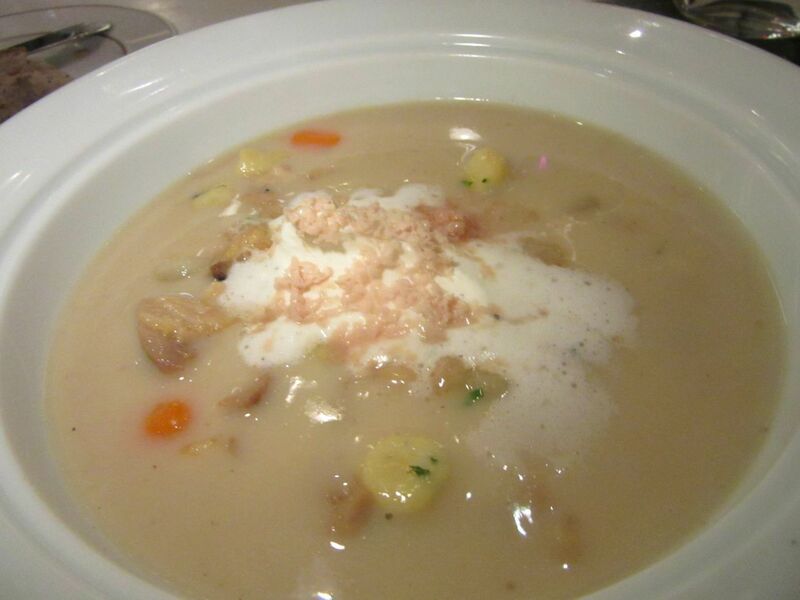 The velouté of chicken with gnocchi and root vegetables is rich with truffle cream. 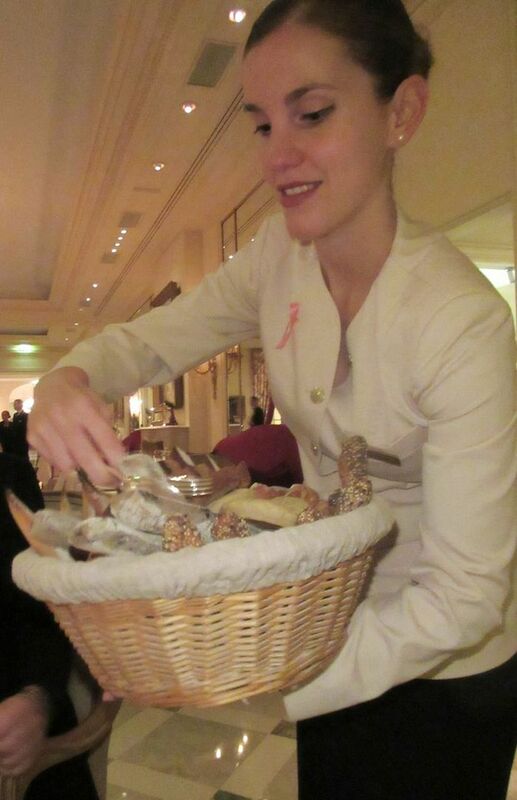 The young bar server hands us menus and reports the house is out of gigot, the Saturday plat du jour. Strange, I think, leg of lamb gone at 7:30 – those early birds in the front room must love their mutton. “You can still order the rack of lamb,” she points out. 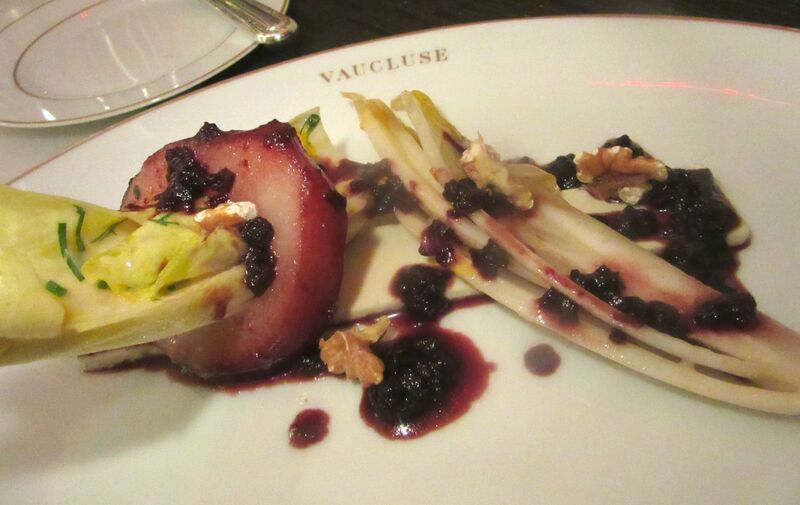 Anjou pear cooked in port comes alongside the endive, Roquefort, walnut salad. I must admit I’m amused at first, but ultimately annoyed that my companion is caught up interrogating this remarkably cute fawn endlessly, as she pours a taste of our wines by the glass, and then fills a duo of carafes, through the strangely unimpressive salmon amuse. For a few minutes, he focuses on his Anjou pear and endive salad with Roquefort, offering me a taste. 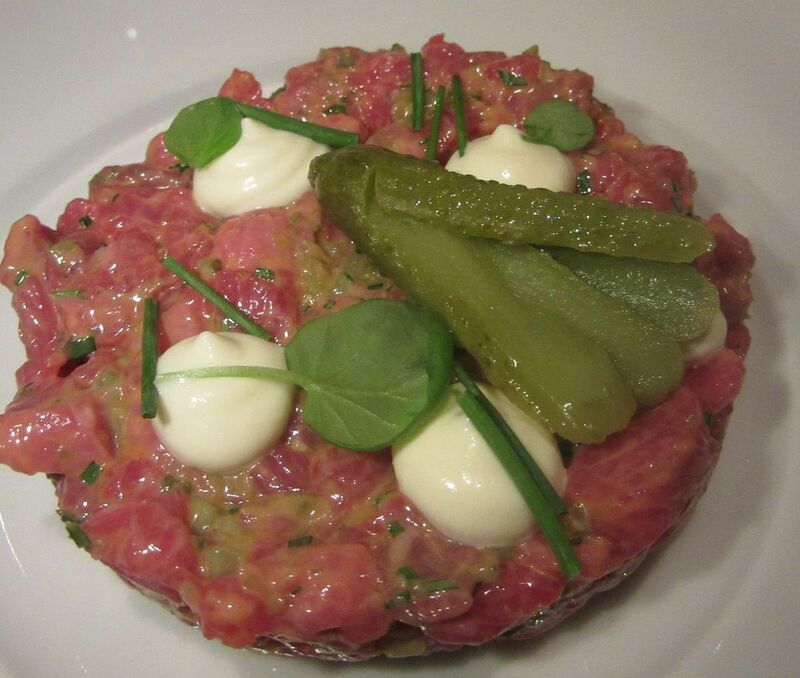 Handcut beef tartare is moist and rich, served with cornichons and toast. I love my chicken velouté. I’ve had it once already. A dieting friend who thought it was “just chicken soup,” sent it back when she saw it was laced with butter and truffle cream. There are little lumps of gnocchi and chicken cut in exactly the same shape, bobbing alongside root vegetables for a deceptive accent of nutrition. It could easily be soup for two if we asked for it in a duo of small bowls. 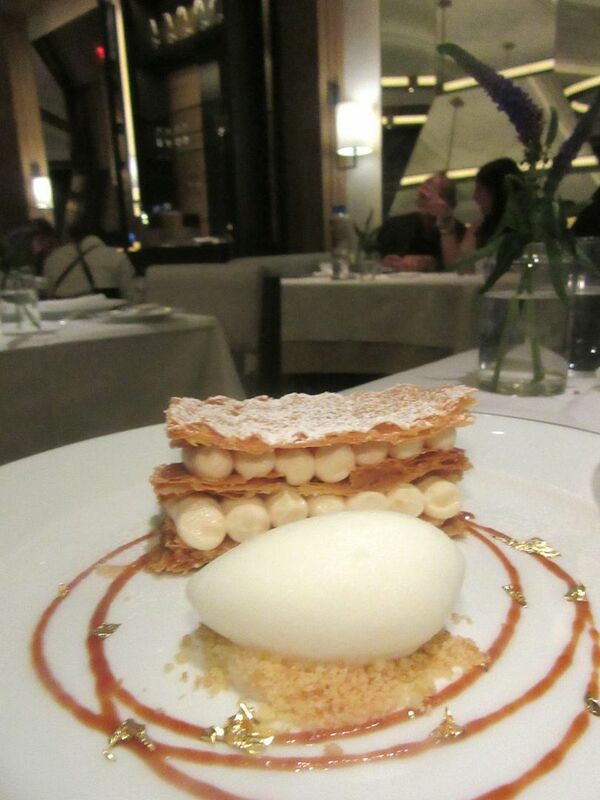 Pastry chef Alina Martell contructs a handsome caramelized millefeuille with milk ice cream. Already I know more than I need to know about Ashley (let’s not get her fired, please.) She may be a just an innocent, but she does her job – stirring cocktails and pouring shots even as she confides with some indiscreet detail how different it was to work on the lower east side compared to this gig. 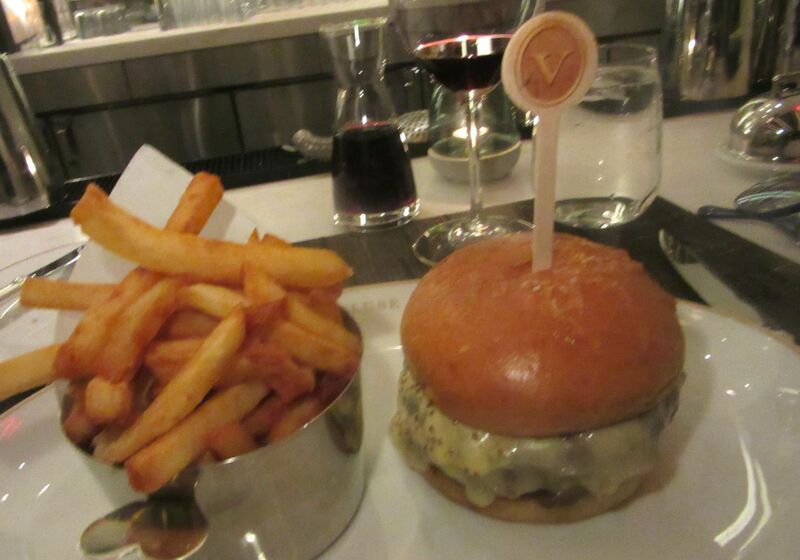 “Chef Bianco” evokes Minetta Lane Black Label burger with his own rich, aged White Label prize. A waiter delivers my burger and my companion’s scallops and sunchokes in a nutty brown butter, as a second waiter pours on consommé. Chef Bianco calls it “White Label Burger,” evoking Minetta Tavern’s $30 Black Label Burger, and deliberately pricing it competitively at just $24. It’s an aged blend of chuck and short rib, under a melt of fontina cheese in a house-baked roll, with a stash of the magnificent fries alongside. I cut it in quarters to get it to my mouth without excessive dribbling. “Do you like anything with your burger,” Ashley asks. 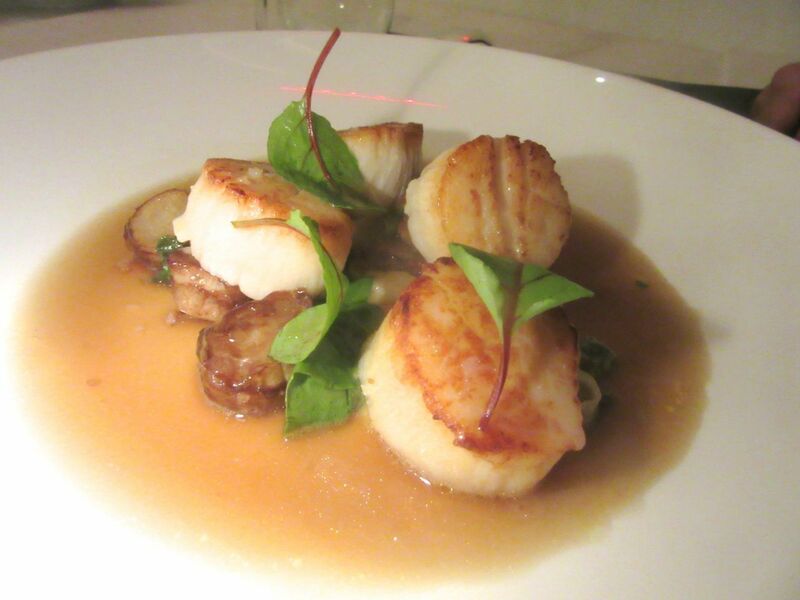 Sea scallops come with sunchokes and sorrel in buerre noisette, then a server pours on consommé. I order both – though I’m not sure these fries really need ketchup, and the burger already oozes tomato jam and a tangy Dijonnaise. 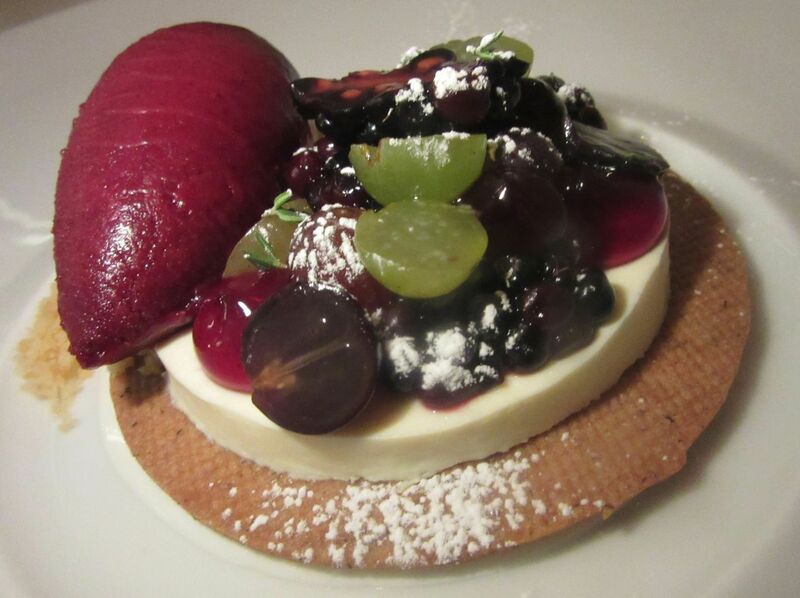 The tarte aux fruit evolves with the season, different colored grapes now with blackberries. Pastry chef Alina Martell has dressed my favorite tarte aux fruits for fall with a mix of different grapes and blackberries. There is feisty berry sorbet alongside. The tarte Vaucluse is layered with toasted hazelnut dacquoise and chocolate crémeux and wears a big “V” on a pastry badge. 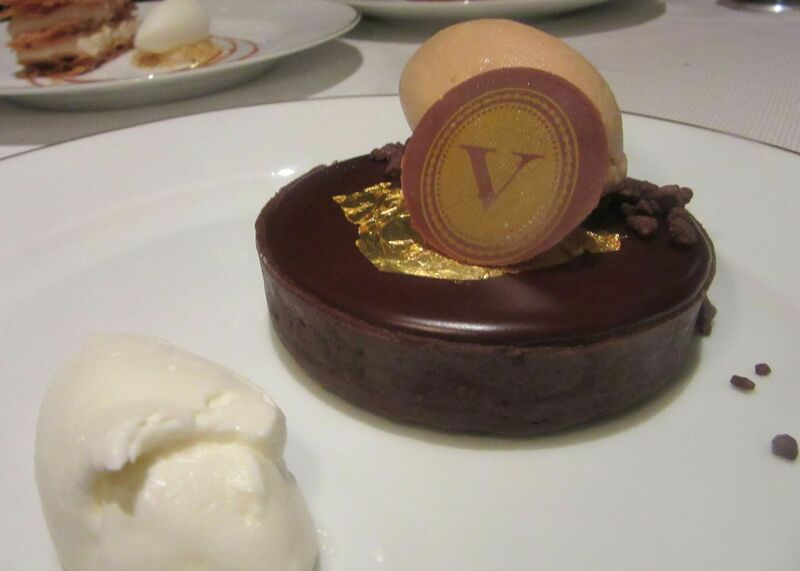 Chocolate, chocolate, and hazelnut dacquoise inside the tarte Vaucluse with its proud “V” medallion. I would not have guessed that our town’s fickle eaters were just waiting for a pricey reprise of Julia Child, filtered through contemporary bravado and tatooed with many “V’s.” But I find this retro and modern francophilia a welcome defense against laboratory experiments, weird combinations, and decomposed silliness. My Upper East Side friends can’t complain anymore they have no place to go. I guess they’ll be grumbling when they can’t get a booking. 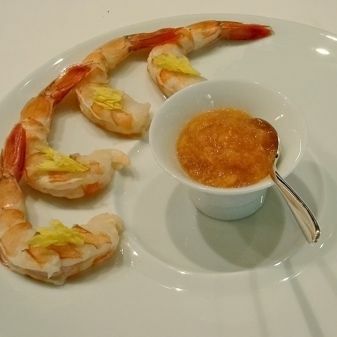 The branded lemon peel signals chef White’s obsession with upscale perfection. 100 East 63rd Street between Park Avenue and Lexington. 646 869 2300. Lunch Monday through Friday noon to 2:30 pm. Dinner Monday through Saturday 5:30 pm to 10:30 pm. Sunday until 10 pm.